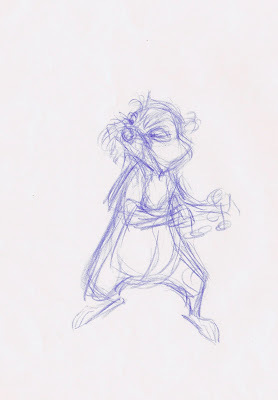 As most of you know Frank Thomas animated the squirrel sequence in The Sword in the Stone. 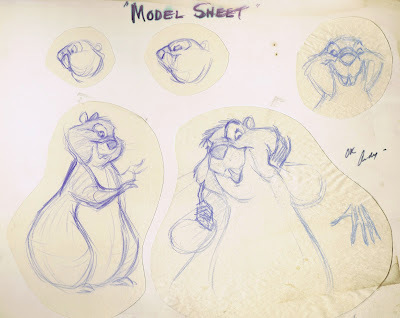 Bill Peet's storyboards provided rich situations for Wart as well as Merlin, who go through great lengths to fend off female admirers. At first Merlin advises Wart on how to deal with the love struck girl squirrel, then he finds himself in the same predicament with Granny. 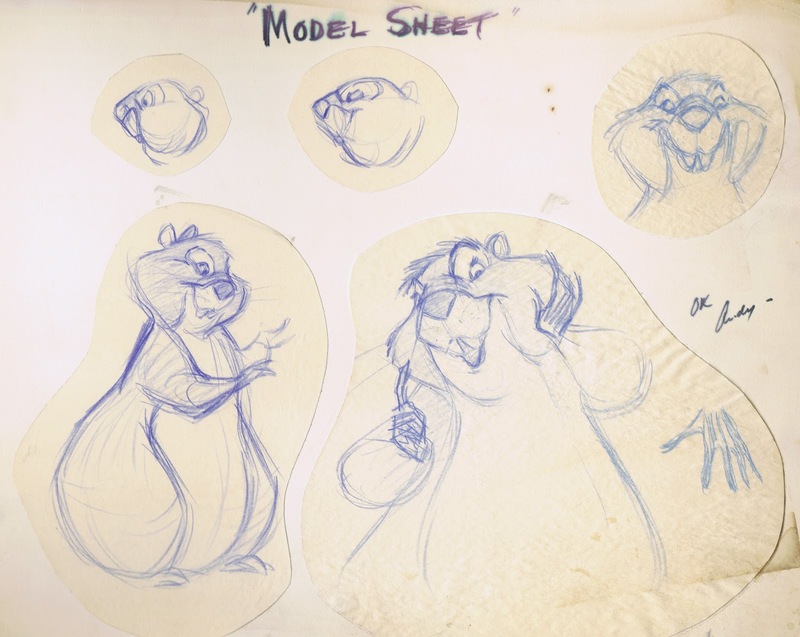 Contrasting attitudes, fantastic acting business and of course masterful animation made this one of Disney Animation's most entertaining sequences. 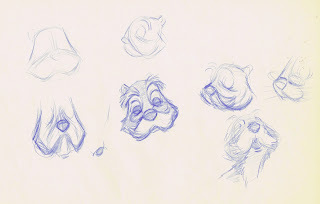 Even the ever so critical Milt Kahl was impressed. "Wasn't that a rich thing Frank did?" he confessed enthusiastically to me, when we were talking about Sword in the Stone. 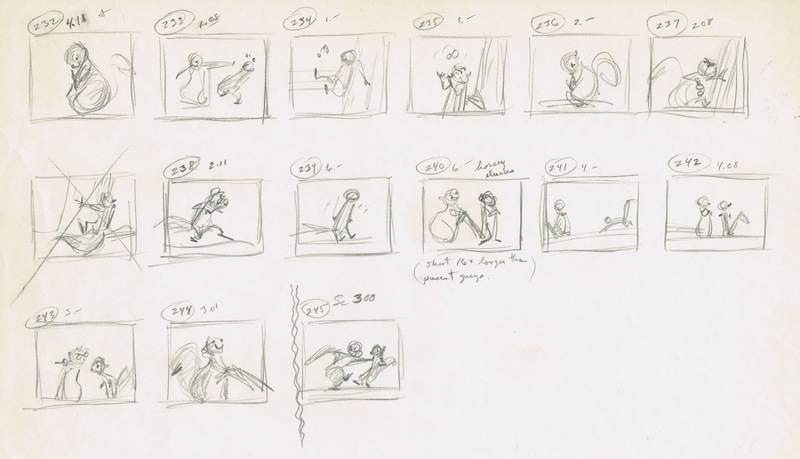 I want to briefly stress the importance of animation business here. This sequence has tons of it. 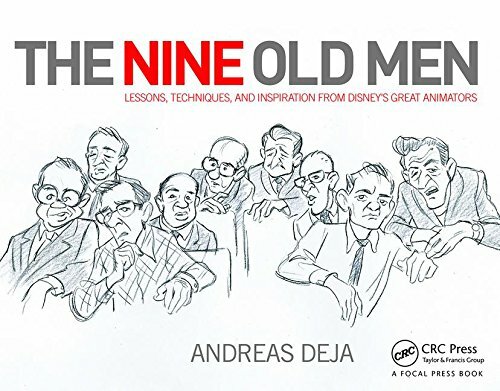 If there are any secrets about Disney Animation, this is one of them. Merlin pushes Granny Squirrel away, but her weight causes her to bounce right back. So Merlin pushes her again, trying a little harder or just doing it differently. Merlin explaines to Wart how to prepare before jumping safely from one branch to another. Then he fails and almost falls down. 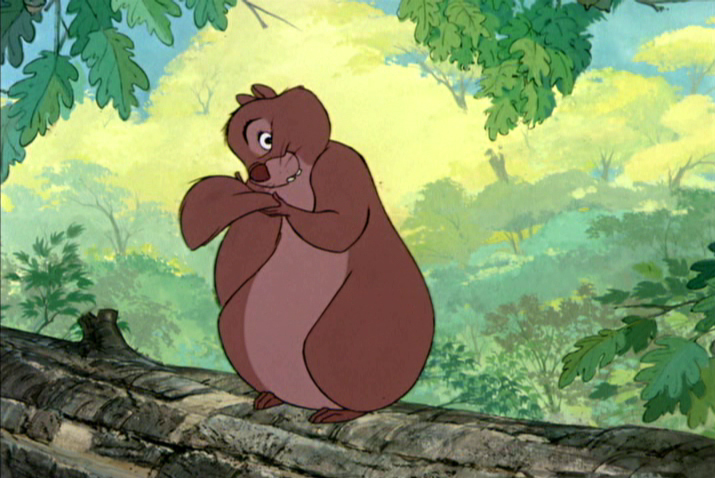 FAILING in character animation is a good thing, because it gives the acting a human touch. An example not from the movie: a character jumps over an obstacle. He doesn't land firmly on his feet like a gymnast, he might fall and then get up. Or at least after the big jump he needs to take a few small steps to regain balance. Stuff like that adds life! 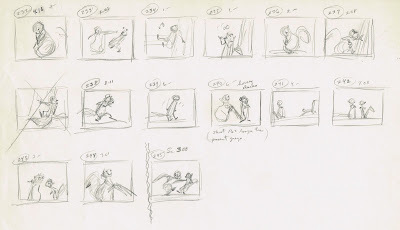 If all your animated actions always suceed, you might be serving the storyboard but not the character. Remember Chuck Jones' One Froggy Evening? When the frog lands after a leap, one leg slips down, because it missed the right contact to the ground. Below are some of Frank's beautiful design sketches for Granny. A rare workbook sheet. Frank plans out scene continuity and acting business. This is an animation rough from that very section. Merlin thinks he can avoid this uncomfortable situation by just walking away. Fat chance! The search for animatable facial forms and shapes.